A Cramlington based engineering company has received a Programme Supplier Award from a prestigious global aerospace firm, for outstanding co-operation and work ethic. 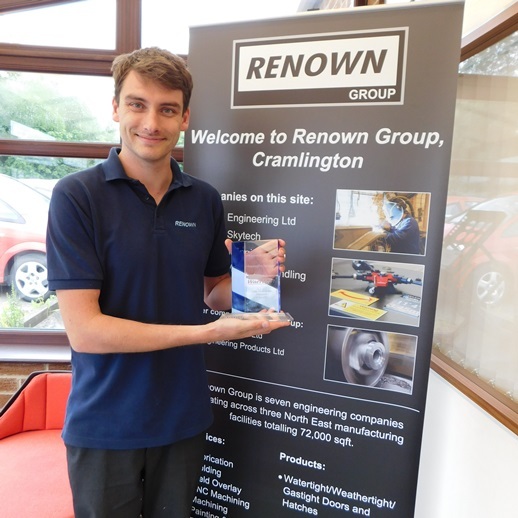 Renown Group, based in Cramlington, has won a Supplier Recognition Award from aerospace and defence business Lockheed Martin UK, in appreciation of the ongoing expert contribution Renown has made to one of their programmes. Lockheed MartinUK utilised Renown Group’s fabrication and manufacturing services on the Warrior Capability Sustainment Programme (WCSP) with great success. The project took six months to complete and involved a high quality skill set in fabrication and machining as well as excellent client-supplier communication. The WCSP is a £1 billion programme to upgrade the British Army’s Warrior vehicles, to extend their life to 2040 and beyond. The Warrior has been in service with the British Army since 1988 and has been deployed in combat roles in both Iraq wars, Bosnia and Afghanistan.